Ariel Wittenberg has scooped the U.S. press in reporting new research just published in the journal Noise & Health. 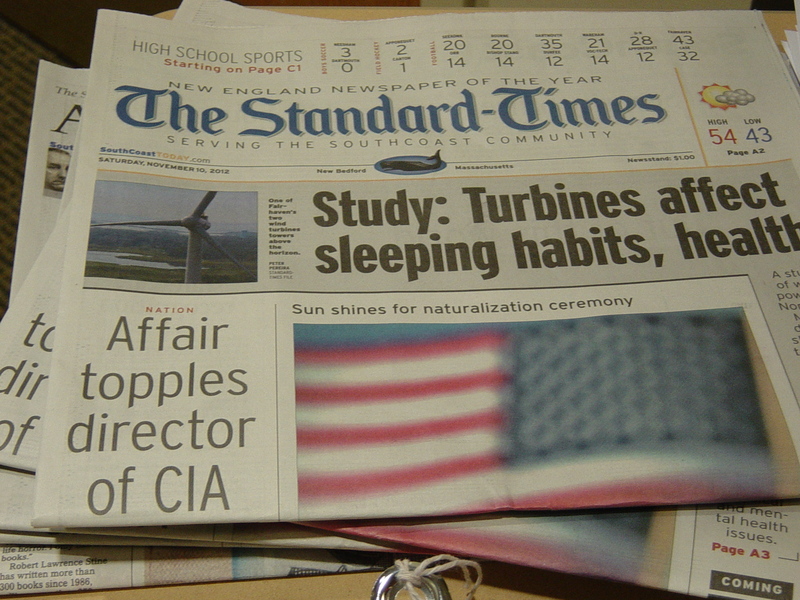 The Standard Times of New Bedford headlined the study on the front page of the Saturday issue (11/10/12). WWMA wondered just when the U.S. media would notice Effects of industrial wind turbine noise on sleep and health” by Nissenbaum, Armani, and Hanning. This is the latest study to describe the adverse health effects caused by industrial wind turbines cause the same symptoms wherever they are erected. This study provides a dose-response analysis, connecting the closeness of turbines to the impact on residents. Reblogged this on Billcarson2162's Blog.